Last week our friends in Grande Saline came together to celebrate four years of clean, safe drinking water. 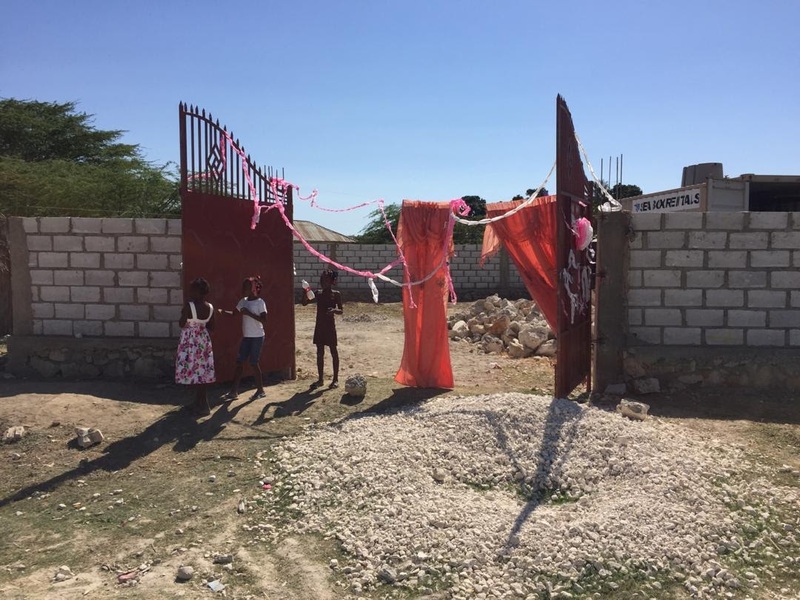 Just outside of the newly finished walls that now surround and protect the water system, people from the community gathered in the shade for a party with cake, streamers, balloons and music. 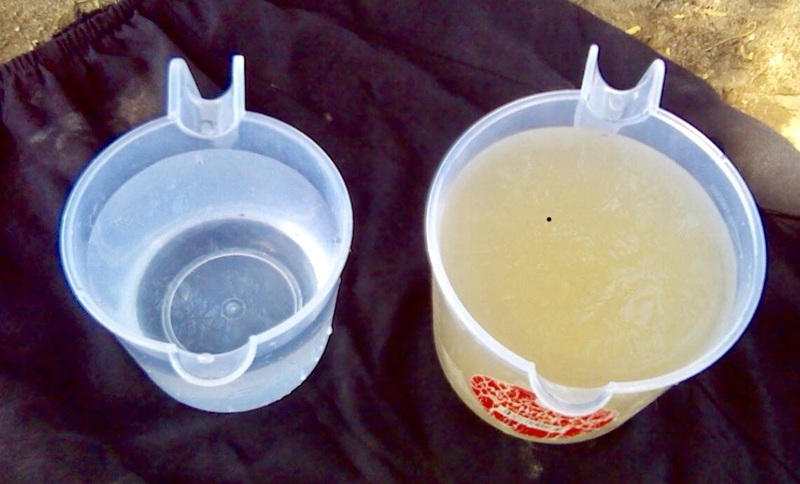 Comparing filtered water with river water. “I thank everyone in the group. For four years this community has enjoyed the privilege of drinking good water that improves health. The community benefits from having this sophisticated system that other communities do not have, and it is a source of pride for all of us,” announced community leader, Pastor Dorcent Berlando. 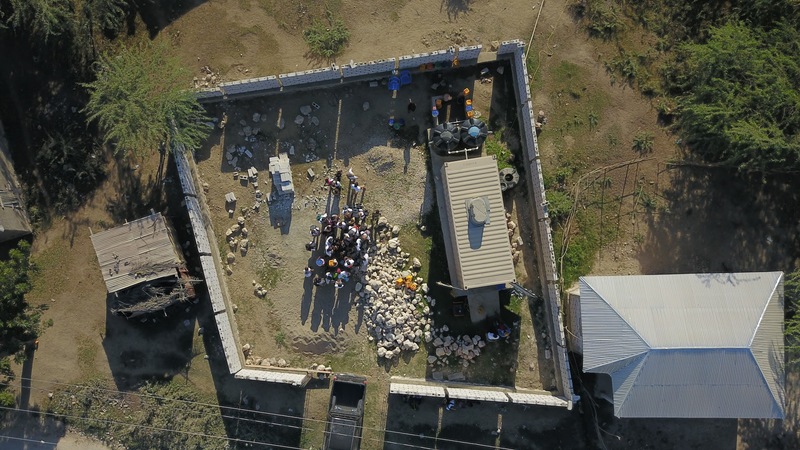 The water system from above. But this gathering was more than just a celebration and opportunity to say thank you. It was a chance for local families to reflect on better health, community pride, and perhaps most importantly, the future – because the anniversary party also marked a new beginning. After many months of planning by the Water and Power Committee the families in Grande Saline are now in the process of registering for a water system membership program. The community has chosen to take a more active role in supporting the system, their only source of safe drinking water. As part of the new program each local family will make a small monthly financial contribution that will be used to help support the water system operating expenses. 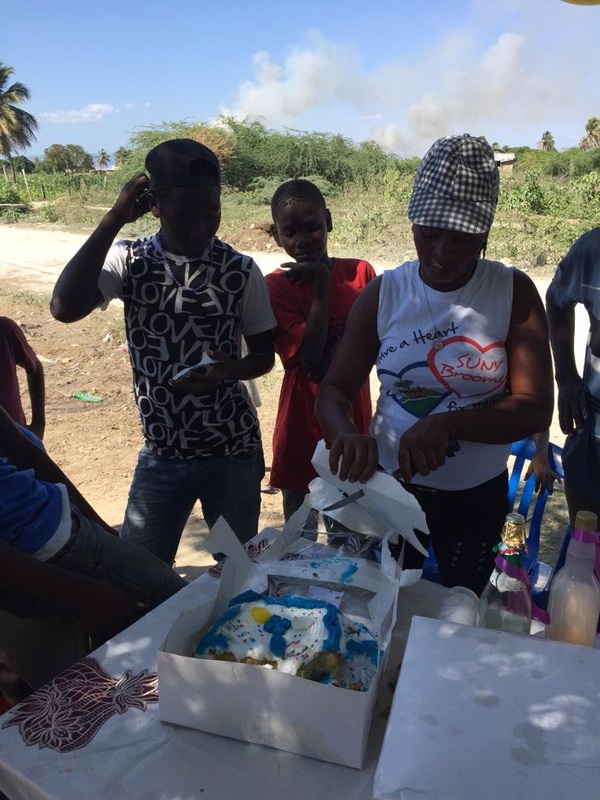 Health for Haiti has no plans to discontinue our ongoing support for the system, but the people of the community decided that after four years it was time for them to share the expense. Some of the community members spoke about what the water system means to them and their families. “My name is Gertrude. Today it is with great pleasure that I speak out about our water system, It is marvelous for my community. From the beginning when we started to drink this water my family stopped worrying so much about our health. My child is only six months old, and I am so happy that I have this water to give him. I am not afraid that the water will harm his health. These things I say are true for everyone in my community. Thank you to all of the donors who give us this amazing gift,” Madame Gertrude Dugas. The clean water benefits all community members, but is especially critical for children. Little children and babies can become dehydrated very quickly. Having clean water to drink protects them from the diarrheal diseases that are so common in people who must drink the contaminated river water. Prior to March 2015, the unfiltered river water was the only option for these families. It is hard to imagine what it must feel like as a parent to have to give your thirsty child water that could make him or her sick. Now, parents like Gertrude know that the water they give their children is safe to drink. 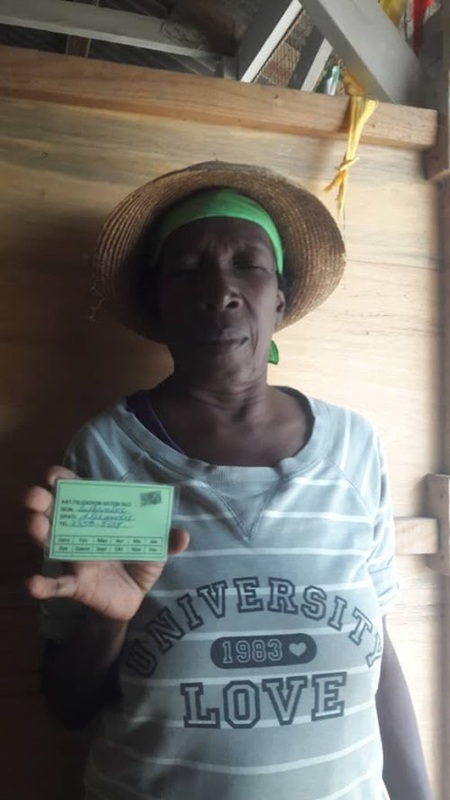 Luthamene Alexandre shows her water system membership card. Other community members commented on how their health improved after having access to the filtered water. “My name is Luthamene. I am happy to witness what the clean water has done for me and my community. This system is the most common thing we talk about, because it most important thing we have between us. Since I started drinking the clean water, my health has improved significantly. I used to receive treatments from the doctor because I was sick a lot, but nothing I received was as effective as drinking the clean water. Thank you for this historic help you have given us,” Madame Luthamene Alexandre. 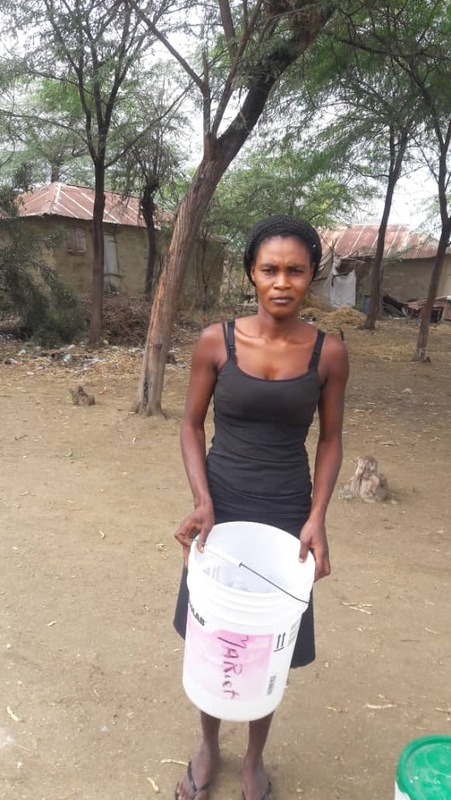 Along with other members of their community, Gertrude and Luthamene will now begin making a monthly contribution to support the water filtration system. This is such a significant step forward for the community. 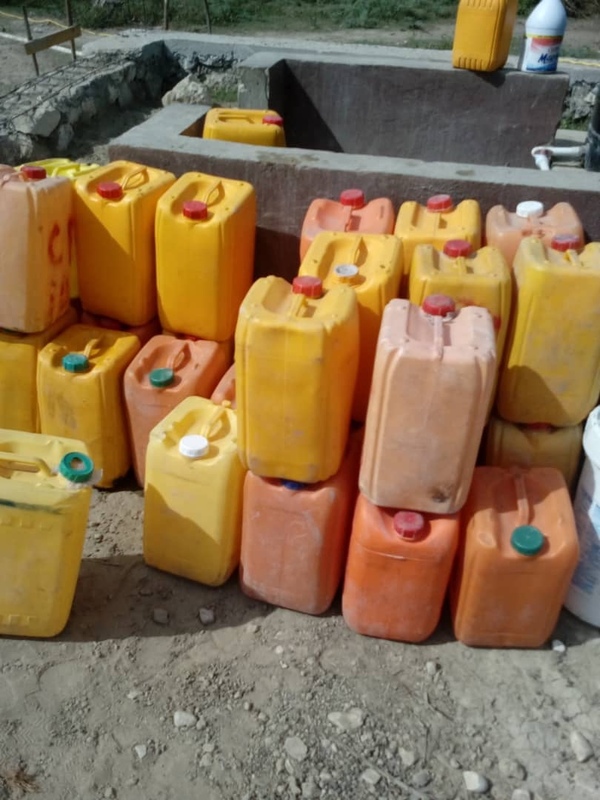 Prior to now, all water system expenses were supported by generous Health for Haiti donors and the water was completely free for the local people. It was the community members who approached us about their wish to take an active part in supporting the system. It demonstrates that the system is so precious and valuable to the community, that they are willing to make their own significant sacrifices to help support it. Community members celebrate the 4th anniversary of the water system. Together we are now turning our focus towards the next step of converting the water system from gas to solar power. With the perimeter walls complete we are moving on to constructing the pavilion that will support the solar panels and house the batteries. As we work towards meeting this goal together, we see power in our partnership. Being partners does not mean that we always evenly share all of the expenses associated with an initiative. Instead, being partners means that we support and encourage each other. Being partners means having patience and listening to each other. Being partners means making sacrifices for the success of our project. Water containers waiting to be filled. Health for Haiti has worked to build sustainable programs that provide our neighbors in Haiti with things they do not have, things that are often readily available for most of us in the United State: safe water, nutrition, education, and basic health services. But I think the most important thing we are building is a sense of community, trust, and an effective partnership. It is common to hear Health for Haiti staff and students return from their experience in Haiti and say that they received much more than they gave. I believe that the feeling they express comes directly from the sense of community we share with our neighbors in Grande Saline. There is no doubt that we are all benefiting from listening to and learning from each other, from learning to appreciate what we have, from recognizing the beauty of our common humanity, and from sharing what we have with each other. Henry Ford said, “Coming together is a beginning, staying together is progress, and working together is success.” We came together with families in Grande Saline years ago and saw a desperate need for clean drinking water. That was our beginning. We stayed together and have seen a lot of progress. We saw the water filtration system travel from Cortland, NY to Grande Saline Haiti, we saw dirt replaced with concrete so feet do not get muddy when containers are being filled, we saw installation of sturdy metal taps that can handle being tuned on and off all day to fill hundreds of water jugs, and we have seen construction of strong walls to protect the life-saving system. But I believe that our biggest success is that we are truly working together. Working in Haiti may be hard, but living in Haiti is harder. There is uncertainly, instability, scarcity of food, illness, and civil unrest that can make even a short trip to the market dangerous or impossible. We applaud the community for taking a step towards making a financial contribution to their water system. We cannot predict how it will turn out or what challenges we will face next, but we can be certain that whatever happens we will face it together. See a video of how it all began here.